Planning printables are especially helpful when I need to organize my time because they allow me to stay on task and accomplish more. 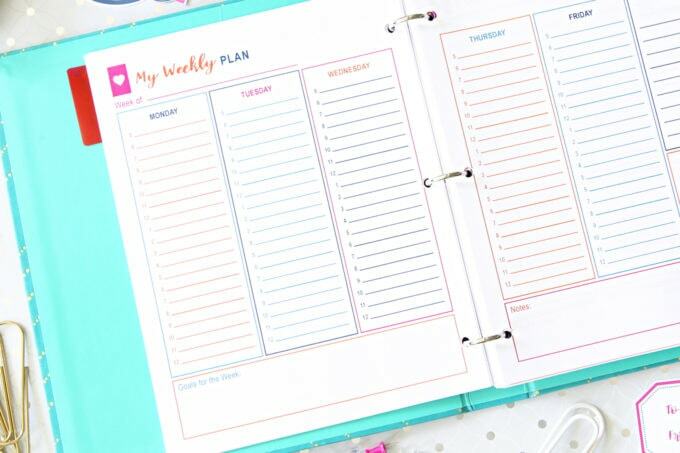 Recently I revamped my little two-page printable that helps me organize my week as well as make a detailed plan for each day, and I am so thrilled to be sharing it with YOU today! 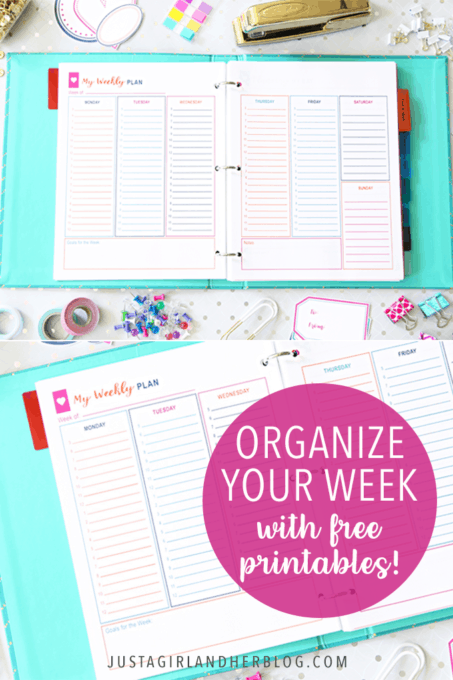 One of the most helpful parts of this printable is the little block on the bottom of the first page that gives me space to set some goals to the week. I am a bit fanatical about goal setting because I think they work. Goals keep me motivated by giving me something to shoot for. I’m a lot less likely to waste my time when I’m working toward a specific result. 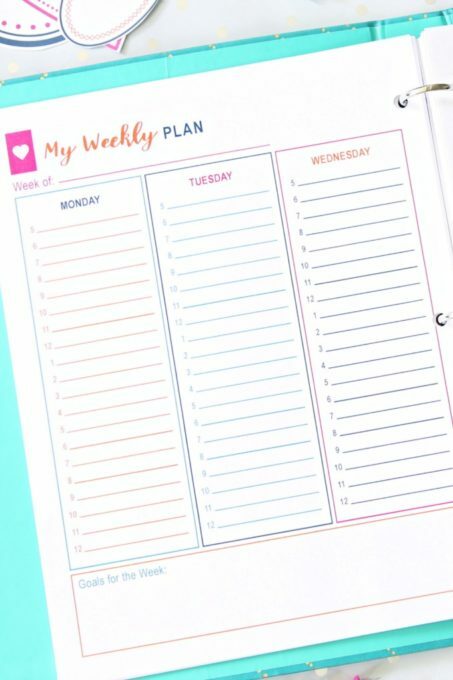 I love that each weekday of this printable is broken down by hour so that I can use one of my favorite productivity techniques, time blocking, to plan my days. If you’ve never heard of time blocking before, don’t worry– it’s simple! Basically, instead of just listing all of the tasks you want to complete each day, you assign each task to a given time slot. While this may seem like it would feel limiting, I actually find it pretty freeing. Say I’m working on a project in the morning when I suddenly remember an email that I need to respond to. 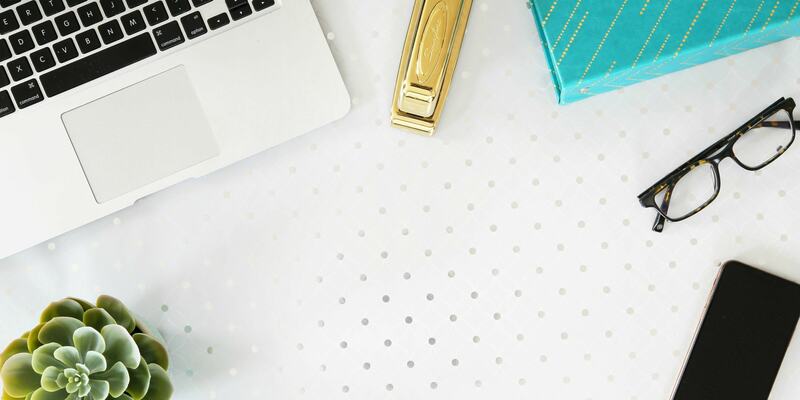 Since I know that I have time scheduled to answer emails later in the day, I can wrap up my project to completion– rather than leaving it unfinished to attend to email– and send my email response during the designated time later in the day. This way, I end up with more completed projects and less loose ends that I’ve left hanging because I was trying to run from thing to thing to thing. Time blocking is also helpful because it keeps me from getting distracted. Since I know I only have a certain amount of time to complete a task before it’s time to move on to the next thing, I don’t have time to lose myself in the endless scroll of Facebook or Pinterest. Time blocking keeps me on task. So that’s it! It’s a super simple printable, but it really goes a long way in boosting my productivity and helping me to reach my goals! You can download this pretty (and free!) printable by clicking the button below. What are your favorite tips and tricks for being more productive? Let me know in the comments below! I love colourful lables! 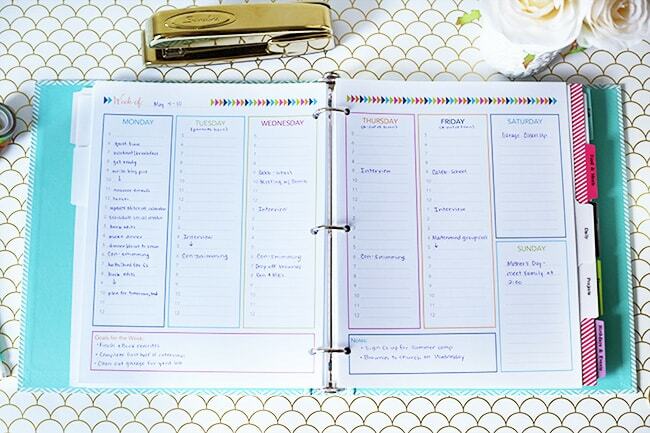 Would make it so nice to organize your week. I love these! I use many of your weekly print sheets already and can’t wait to try these. I really like the goals at the bottom. Sunday plan day just got a kick in the rear! This is great!! Thank you so much for sharing, I love when organized people like you share tools with less organized people like me! It makes my life so much easier! and your printables just changed my life. From a total mess i went to be a really organised person so thank you. I have a small problem i wish you could help me with. As a student you have a lot of homework and a lot of study to do and also study for your exams. yours are so lovely they always cheer me up. This is awesome! Your printables are beautiful and I definitely went over to the other site and downloaded them. Thanks for sharing! This is fab 🙂 I love order in my life but recently I feel I’ve lost a bit. This will be so helpful, thanks! 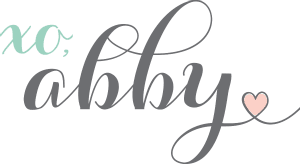 Hi Abby, I’ve been on a mission to better organize my time and your website has been so helpful! 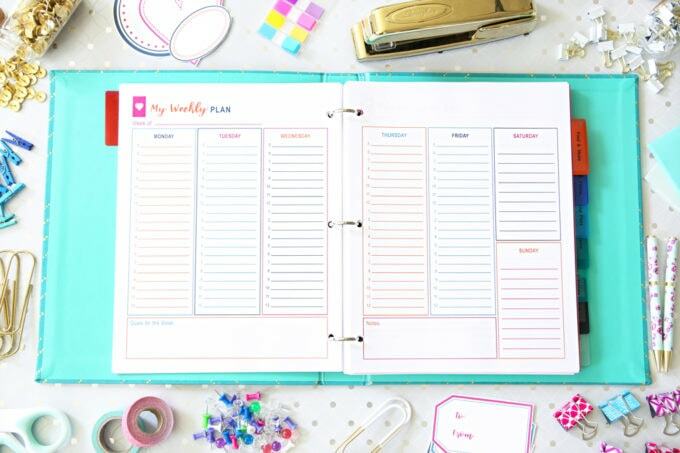 My question is, have you begun using this sheet instead of your “Planning my day” printable? If so, where do you now record your “to-do”, “to-contact”, and “to-buy” items? The first sentence says it all! That is my go-to activity when I’m overwhelmed: create a printable and a new system/way of doing things. I love this printable! I love planners, especially printables. 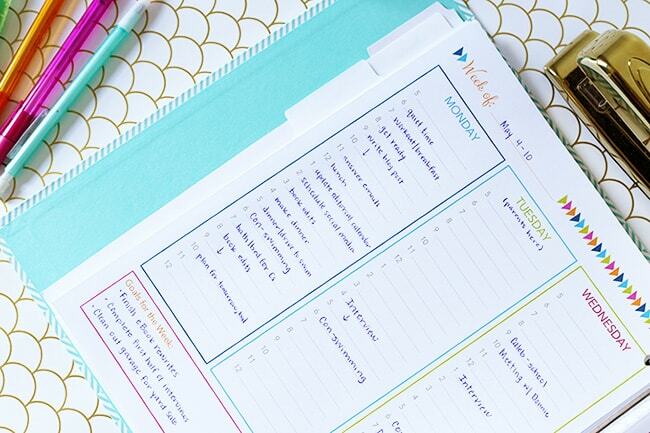 This weekly planner is great – I like how you can list the details for each day and see the week at a glance. I will have to check out your ebook to see the rest of the printables. LOVE YOUR SITE, RAN ACROSS IT LOOKING FOR MEAL PLANNERS. Thank you for your sharing!Love your site! These are so pretty! I like the goal setting box. That’s such a great idea. I’m goal-oriented, too, so that could help keep me on track with my big picture goals. I’ve never tried time-blocking before, but I’ll give it a try and see how it goes! Very lovely and useful. I have some like these that I created and have been using for many years. Thank you for sharing yours. They are a lot prettier than mine are. Abby, what bothers me about time blocking is figuring out how much time to allot for which tasks. If I allow a half hour but need a full hour to get something done, I don’t have much problem bumping the leftover task to another day, but I have more problems with the opposite. Say I allow an hour to do a certain task but find I’m done in less time (maybe half an hour) then I have time designated for a task that’s already done… For these reasons I don’t use time blocking, but I see it could be useful if I had a better handle on how much time some things take. Yep, I would say my time blocking rarely works out exactly according to plan, but I find it helps me to stay on track better if I have some sort of plan in place. Everyone is different, though, so if another technique works better for you, definitely go with that one! 🙂 Hope you’re having a wonderful week! Any chance you could design some with more masculine colors? My husband wants to time block and we are having a ridiculously hard time finding time block calendars that don’t have flowers, hearts, adorable colors, and other feminine designs. He’s a police officer and you know the other guy would give him a hard time if he used that! That is perfect I think! Fingers crossed my hubs likes it. Thanks for taking the time to let me know about your other printables. And thanks very much for making them, and making them free. Broke newlyweds need to stay organized!